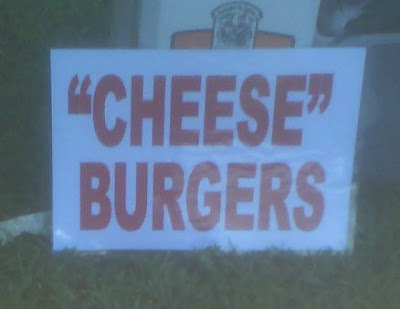 The “Blog” of “Unnecessary” Quotation Marks: I can has? Evidently these are made with velveeta. Thanks, Galadriel. You're blog is causing me continence issues. I love it (the blog, not the issues). It should be "cheez" burgers, dammit!